Apparently, ineffable is one of the most searched for words on the internet today. This is entertaining because it is ironic that someone should search for the meaning of a word which means that which has meaning which can not be expressed. Apparently, in addition to being the last day of WonderCon, the finale of The Walking Dead, and the first episode of the new season of Game of Thrones . . . today is also Easter. 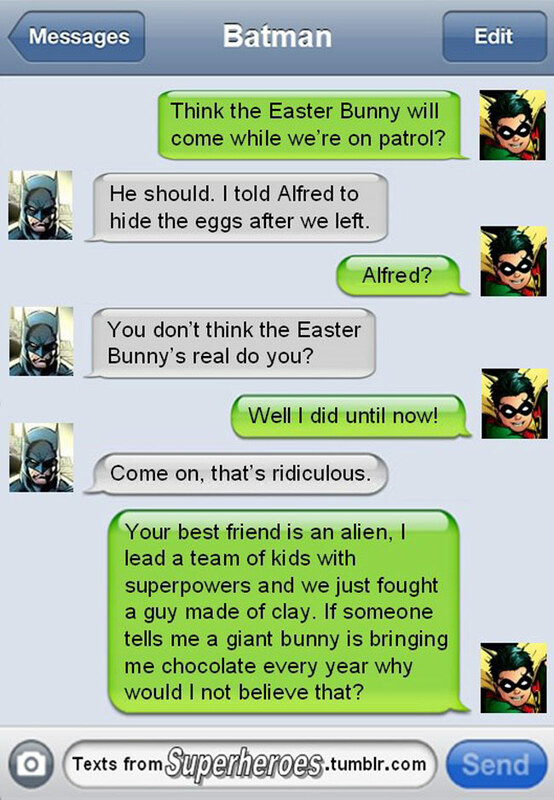 Just ask Batman and Robin.